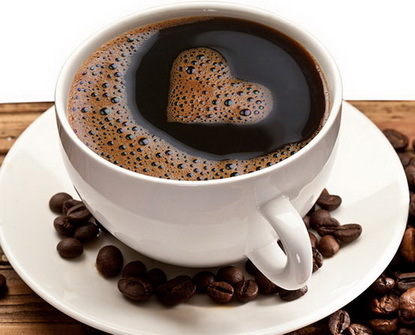 A number of studies claim the existence of the effectiveness of the coffee to the diet. Mentioned, the caffeine content in coffee can increase the rate of metabolism and fat burning. However, is it true that coffee is effective for dieting and weight loss? Refer to the fact that in the reviews here! There are a variety of coffee products for diets that are circulating on the market; one that is popular is the extract of green coffee beans that are believed to be effective for weight loss. A number of studies also support the claims. However, before taking any further, understand and consider carefully between the benefits and side effects of consuming coffee to diet. 1. Caffeine, a central nervous system stimulant. 2. Theo bromine and teofilin, a substance related to caffeine can also have the effect of stimulant. 3. Klorogenat Acid, one of the biological active compounds in coffee that can help slows down the process of absorption of carbohydrates. 4. Compound is the most widely known of these three substances above is caffeine, because this is the most powerful compounds and also the most studied. Caffeine is known to help move fat from body fat tissue, so that the fat can be used as the fatty acids in the blood. A study also shows that in the short term, caffeine can increase the rate of body metabolism and increase fat burning. In this regard, caffeine increases energy use, even when you are resting. Caffeine also stimulates the thermo genesis process of occurrence, the body's way of generating heat and energy from digesting food. In addition, caffeine can also decrease appetite even though for a short time. In fact, there is no evidence that consuming caffeine can help you lose weight in the long term. This is because the body can tolerate the effects of caffeine. When the body becomes tolerant to caffeine, then the effect will not be the same as when the first coffee. Not to mention if the coffee you brewed plus sugar, cream, or artificial sweetener that will actually increase the calories you consume. The effects of coffee on the diet are hard to find in people who are already obese. The effect is also influenced by the age factor. The younger the age, the less caffeine will affect the digestive metabolism. Caffeine may be able to help lose weight and prevent weight increased, but there has been no research that really proves that coffee consumption can lose weight significantly or permanently. Some studies that examine the link between caffeine and weight loss are more common in animal experiments, so it is doubtful to equalize the results in humans. Several studies that have been done on humans show that coffee can lose weight, but only slightly. To assess the efficacy and safety of coffee products for the diet, further research is still needed. A number of other studies show that even with high doses of caffeine consumption, weight loss results are also less significant. So, be careful when taking coffee to the diet. Note your daily caffeine intake from coffee, tea, sodas, energy drinks, and other foods and drinks containing caffeine. Make sure not to exceed the recommended dose, i.e. 400 milligrams per day. Maximum caffeine consumption is as much as 150 milligrams per day divided into at least three doses. One cup of coffee usually contains 50-200 milligrams of caffeine, depending on the way of brewing and the type of coffee. Too much intake of caffeine can cause insomnia, nausea, increased blood pressure, stomach pain, rapid heart rate, frequent urination, and restless. Keep in mind also, caffeine is not advised for people with certain clinical conditions, such as diabetes, glaucoma, high blood pressure, or osteoporosis, as well as for pregnant women and nursing mothers. Coffee can interact with many drugs, ranging from a cure for heart problems, bone disorders, lung disease, menopause, and medications to treat mental health problems, such as depression and schizophrenia. Therefore, we recommend that you consult a doctor first before deciding on taking coffee to the diet.